In this house . 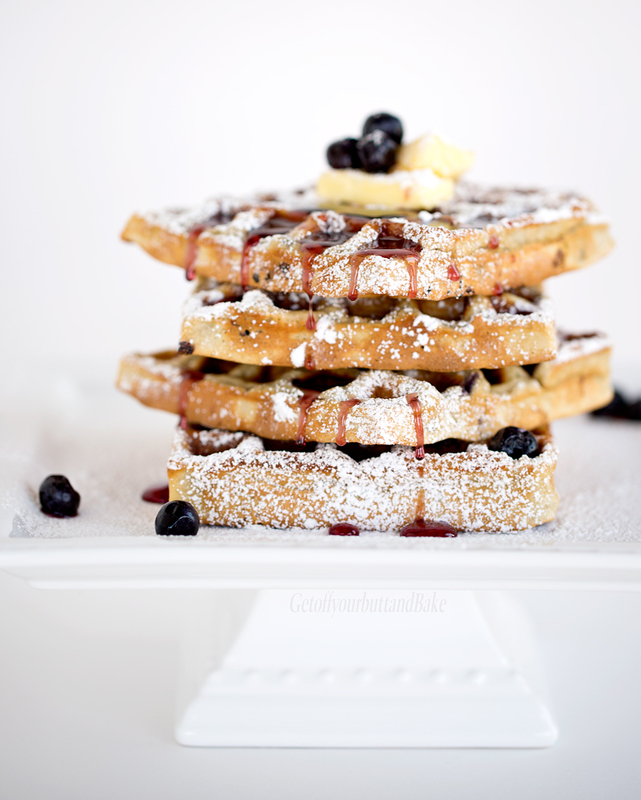 . . we like crisp, fluffy Waffles, and we tend to make them quite often. You might say we are waffle snobs, a bit on the picky side. I have a tried & true waffle recipe that has been passed down for ages. It’s good, and never fails. A nice breakfast seems to be gone with the wind, since we’re out the door quite early in the morning. To fix that problem, we simply must have waffles for dinner. A vanilla flavored waffle, served along side a fried egg is magic. Those who follow me, know that I put my waffle iron to good use. It works over-time making crispy low-fat hash browns as well as waffles. In fact, I use it so often that it finally died. While I was doing some waffle iron research and reading reviews, I decided on the Breville Smart Waffle Maker. While reading, I came across Pioneer Woman’s post, along with her waffle recipe. She also was in need of a new waffle iron, and gave the new Breville Smart Waffle Maker a great review. It’s a tad on the expensive side, but I have to say that so far . . . I’m very impressed. It’s almost too beautiful to use. In case you’re interested, William- Sonoma is a hundred dollars less expensive than Amazon. That was a surprise to me . . . but so true. It makes beautiful yummy waffles! I didn’t give up on my last waffle iron easily though. Well, someone in this house didn’t give up easily. I have a sweet husband who has the ability to fix anything . . . just about anything. One night I made waffle batter. This waffle batter isn’t hard to make, but it does require a few extra steps. I think you can imagine my dismay, when only the top plates of the waffle iron heated. One side was nice and brown, the other . . . soggy. The fix – it – all guy in this house, tore into it! Tonight I added blueberries to the waffle batter, but they are good just left plain jane. 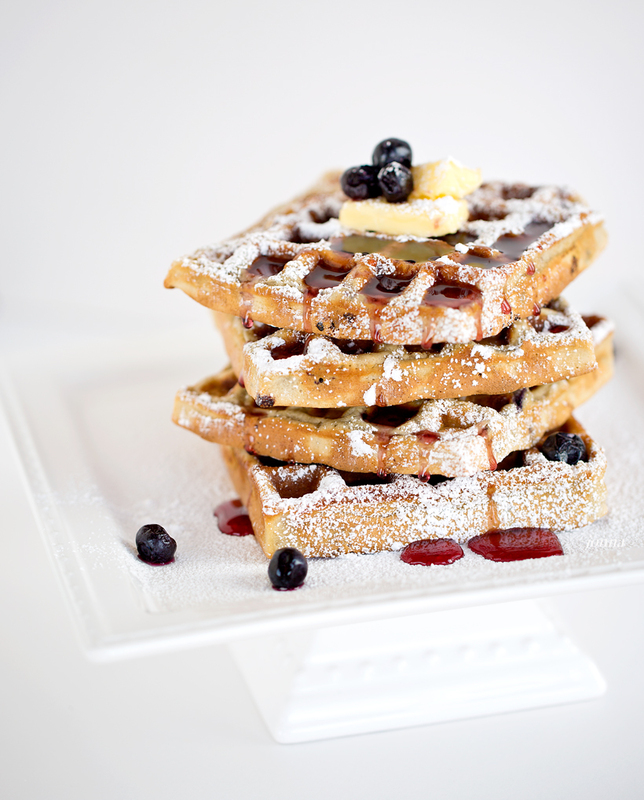 We enjoy syrup on waffles, but they are also great sprinkled with cinnamon & sugar or confectioners sugar. That’s what we always got at Grandma’s house growing up. If you can’t eat all the waffles you bake . . . that’s o.k. You can refrigerate or freeze the waffles, then just pop them in the toaster. They will be nice & crisp and delicious again. So . . . how does this recipe stack up to my tried & true? Well, I really can’t tell the difference! Serve the waffles with strawberries, raspberries & sweetened whipped cream . . . oh yum. Make waffles for dinner . . . or breakfast . . . You will never make waffles from a mix or a box again. In a separate bowl, beat the egg whites until stiff. Slowly fold them into the batter, stopping short of mixing them all the way through. Very gently, fold blueberries or other berry into the batter. Make sure that if you are using frozen berries, that they are well drained. 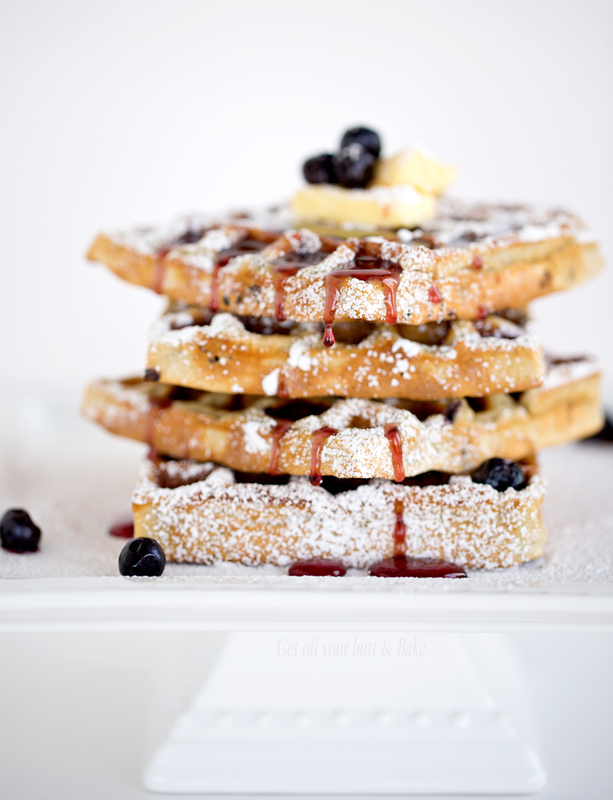 Scoop the batter into your waffle iron in batches and cook according to its directions. Bake waffles until deep golden brown & crisp. Remove and serve immediately with softened butter and warm syrup, jam, cinnamon & sugar or confectioners sugar!